At the restaurant operated on the ground floor of the hotel enjoy breakfast, lunch, dinner or even a coffee with the blue sea stretching out before you. The local cuisine is one of the best Mediterranean gastronomy. 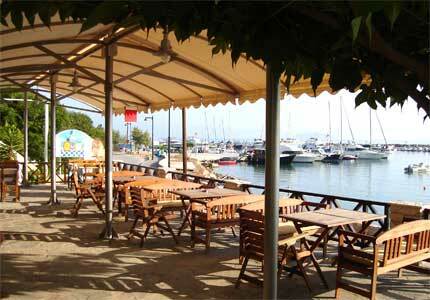 Fresh fish, poultry naturally grown, seasonal fruits and salads and homemade pies are the prime local delicacies. 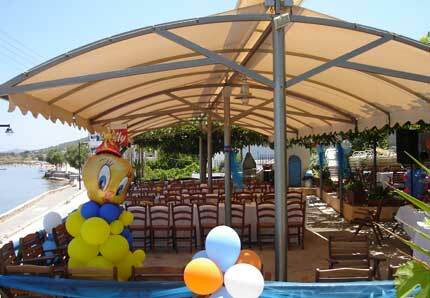 We organize for you any type of event such as weddings, christenings, birthdays, anniversaries, or any other social event you want. We create beautiful moments of memories in an idyllic setting that is dominated by spectacular sea view.